The snurfer (on left) has Michigan roots and predates the snowboard. Rachel Clark, Michigan History Center historian, and Ron Pesch, Michigan High School Athletic Association historian and film documentarian, joined Stateside to teach us about this unique sport. "Snurfing is kind of a precursor to what we now know as snowboarding," Clark said. "It came out as essentially two skis that were together." "It measured four feet long by about seven inches wide. The original ones were yellow and black and it had a rope on the end of it, and you would stand on it – hopefully – and go down the snow hill on it. "It was invented by a guy named Sherman Poppen from Muskegon." "Locally, of course, it was huge, and a local fraternity at Muskegon Community College decided that they were going to host the world's first 'World Snurfing Classic' in 1968," Pesch said. "Poppen had trademarked the name snurfing, and, because of that, that really evolved into an issue for these guys that were creating boards," Pesch said. 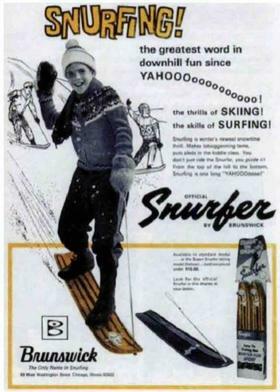 "They couldn't call it a snurfer. So, to escape that, what they did was really change the name of the sport. 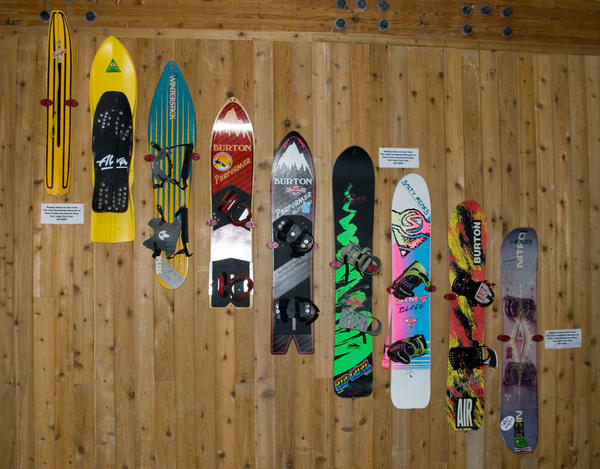 It evolved from snurfing into snow surfing, into what we know today as snowboarding."